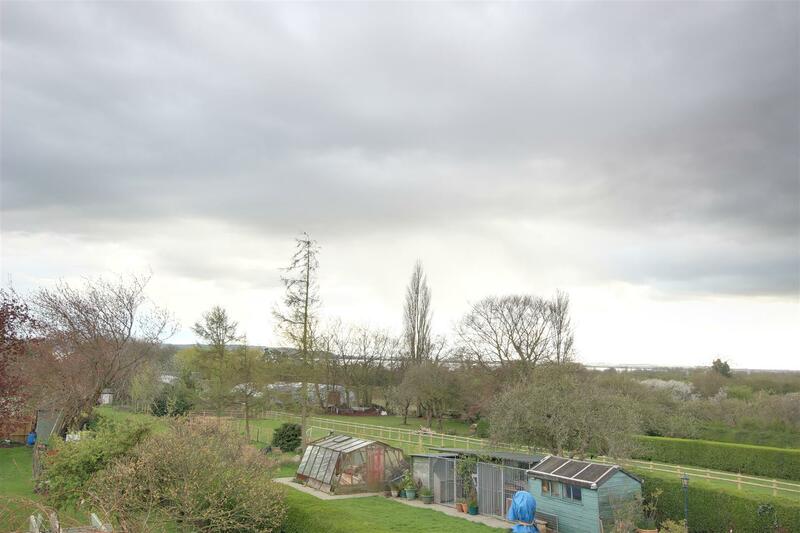 Set well back and on the south side of this sought after street scene lies this individual and most attractive detached house which provides some fine panoramic views to the rear across the Humber Estuary and Lincolnshire Wolds beyond. Viewing is essential to appreciate the appeal of accommodation on offer which combines great character with contemporary living spaces. 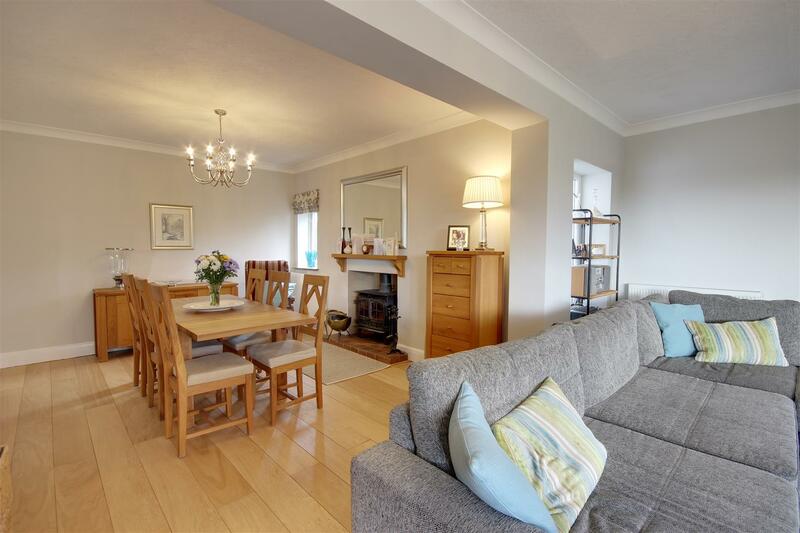 At ground floor, a wide entrance hall has an impressive staircase leading off and there is a downstairs shower room, cosy sitting room with stove, contemporary kitchen with granite work surfaces and integrated appliances. 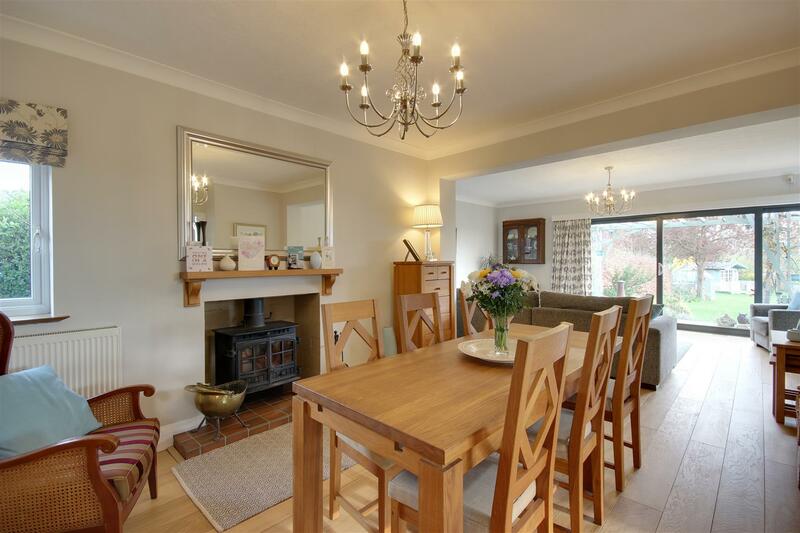 The heart of the house is the superb open plan dining and living space, again with a solid fuel stove, and fabulous views out across the garden and beyond. 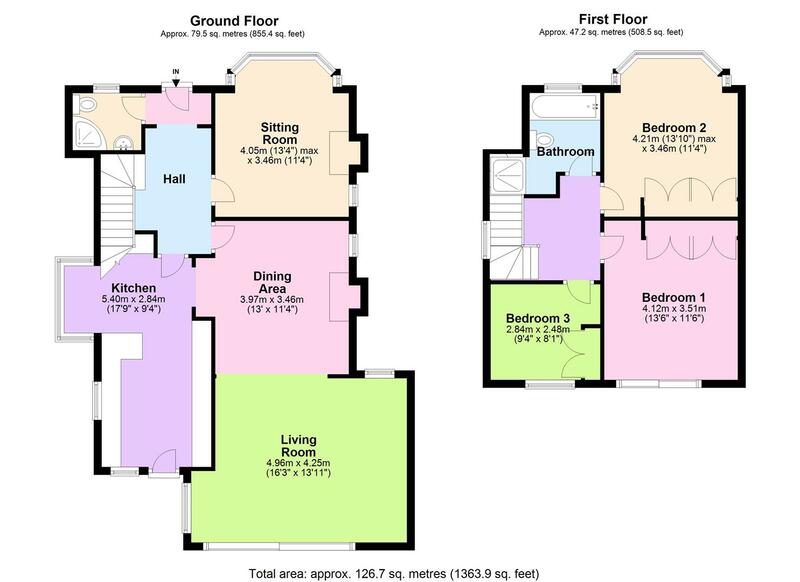 At first floor are three bedrooms served by a four piece bathroom. 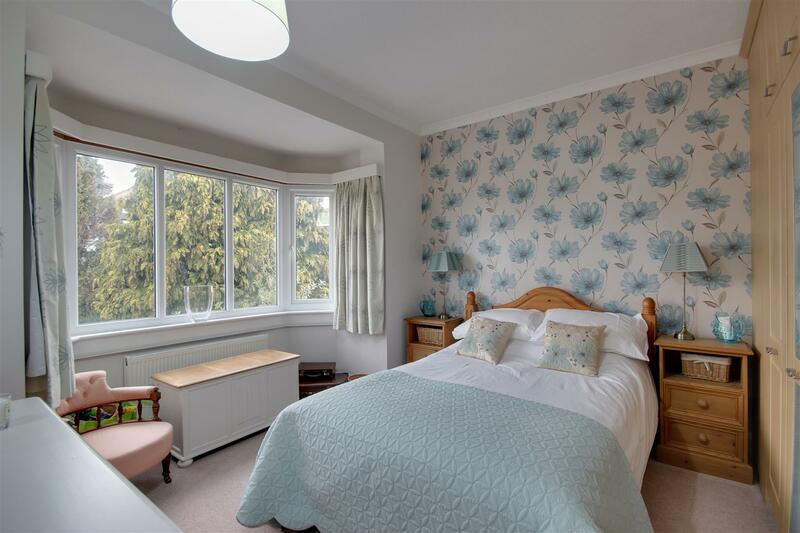 The accommodation boasts gas fired central heating to radiators and there is double glazing installed. The grounds are a particular feature including a long sweeping driveway leading past lawns and trees up to the carport and garage. 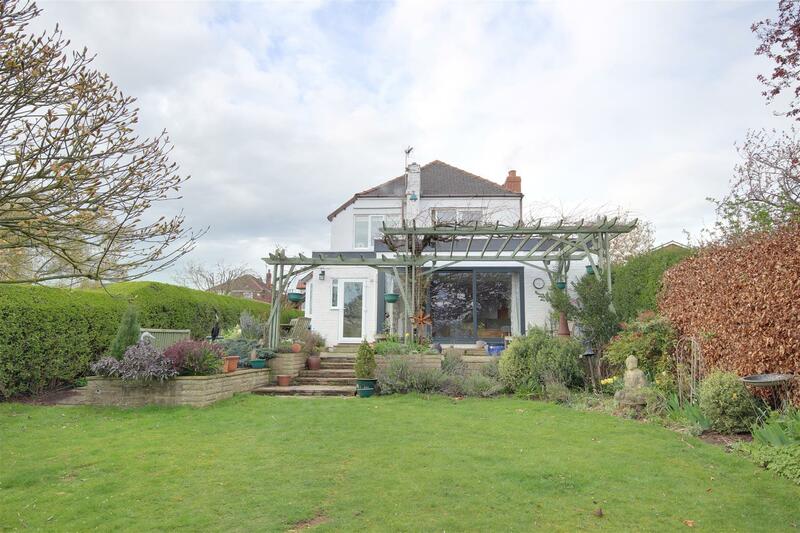 The rear garden enjoys a southerly aspect and includes an extensive paved patio with lawn beyond, greenhouse, shed and summerhouse. Viewing is an absolute must. 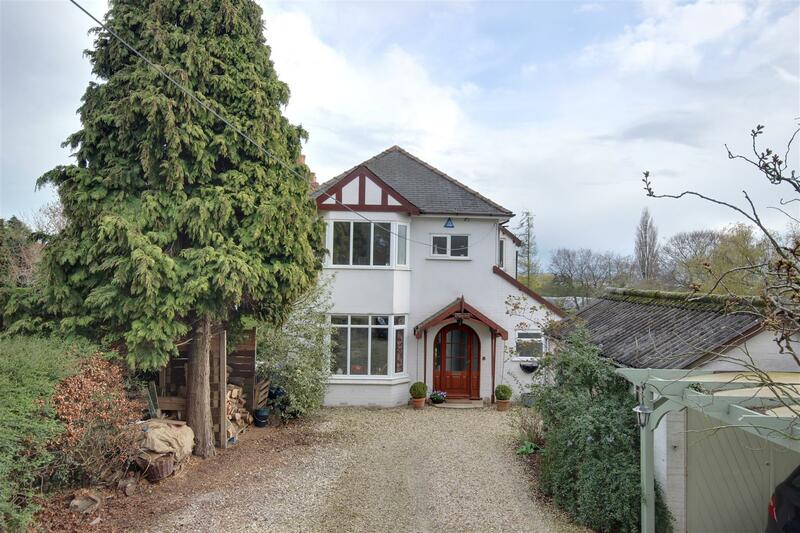 The property stands on the south side of Ferriby High Road, a popular location which runs out of North Ferriby village to the east. The village itself has a good range of amenities including a convenience store, doctor's surgery, coffee shop, beauticians and other independent stores. There are a number of amenities and recreational facilities plus a well reputed primary school with secondary schooling at nearby South Hunsley in Melton. 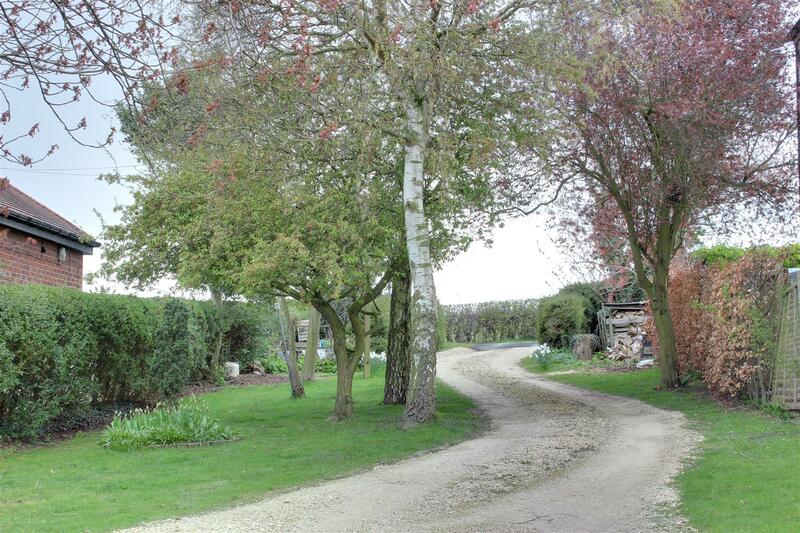 The village also boasts a railway station and immediate access is available to the A63 which leads to Hull city centre to the east, the Humber Bridge leading to Lincolnshire and Humberside airport plus in a westerly direction into the national motorway network. With low level W.C, wash hand basin and shower cubicle. 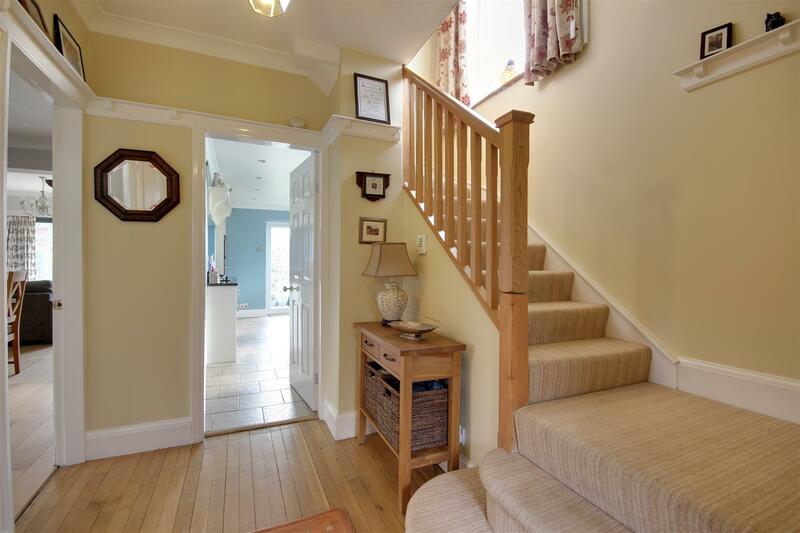 A lovely hallway which has an impressive staircase leading to the first floor off. 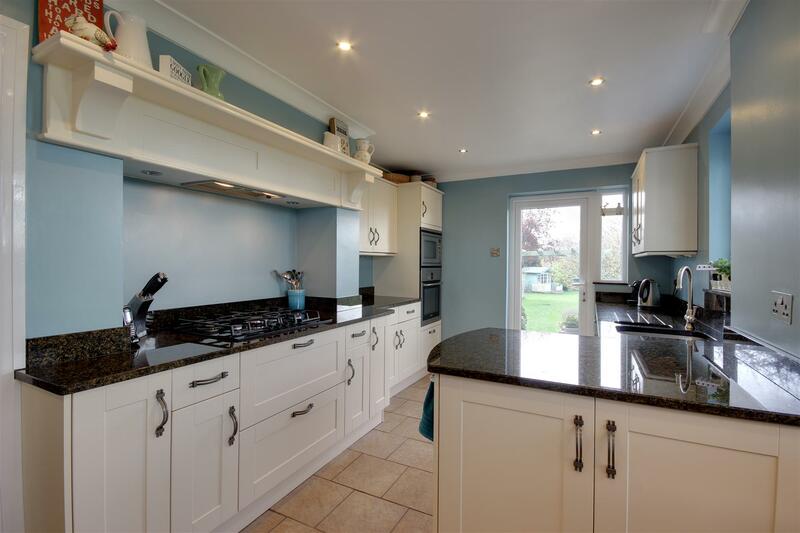 There is oak stripped flooring, plate rack to the walls. Measurements into bay window to front elevation. 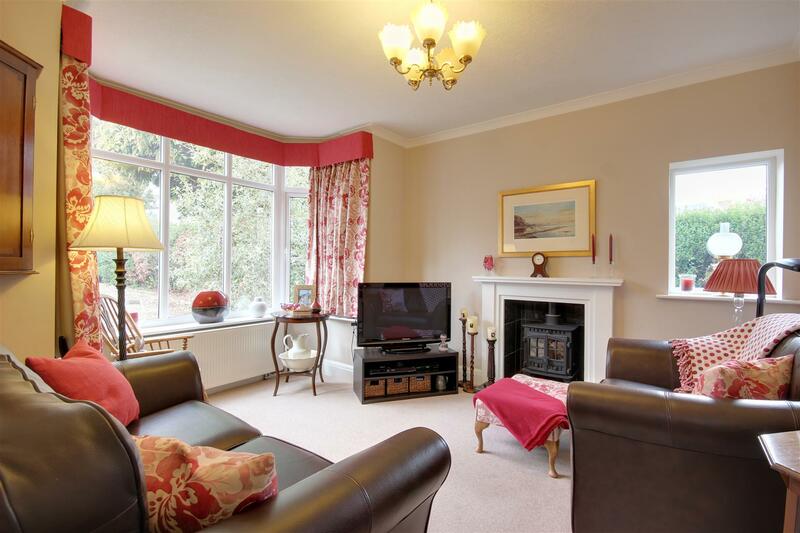 There is a feature fire surround housing a solid fuel stove making this an extremely cosy place to relax. 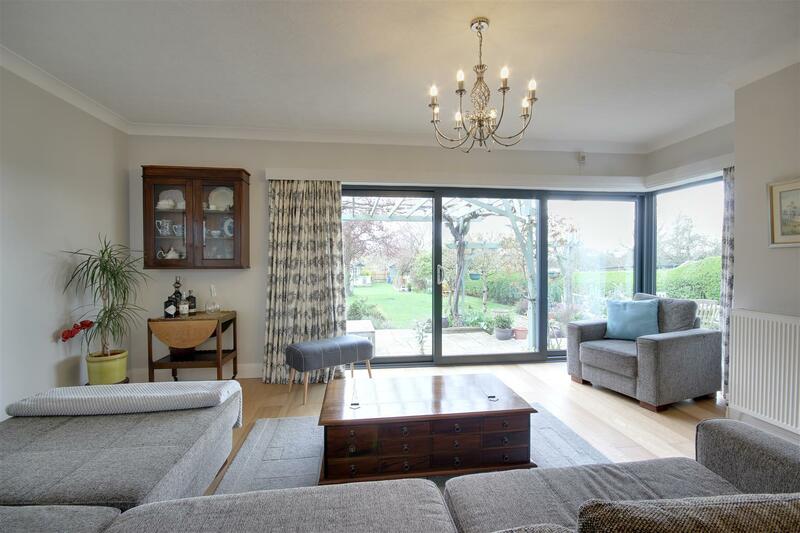 This open plan space provides a fabulous view to the rear across the gardens and beyond through wide windows with central opener and return window to corner. Extending to 11'0" into west facing bay window to side elevation. 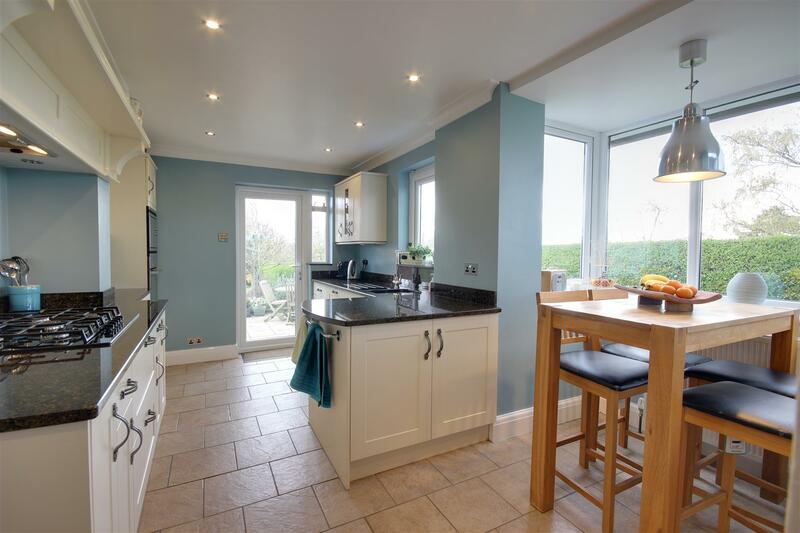 The kitchen comprises an attractive range of fitted base and wall mounted units with contrasting granite work surfaces and there is an undercounter one and a half sink with mixer tap, integrated oven, microwave, five ring gas hob with canopied extractor hood above, dishwasher. Tiling to the floor, recessed downlighters to ceiling. External access door to the garden. With modern fitted wardrobes. Sliding patio doors provide panoramic views across the garden to the south and onwards towards the river Humber and Lincolnshire Wolds beyond. A breathtaking view indeed. Measurements into bay window to front elevation. Fitted wardrobes and storage cupboards. 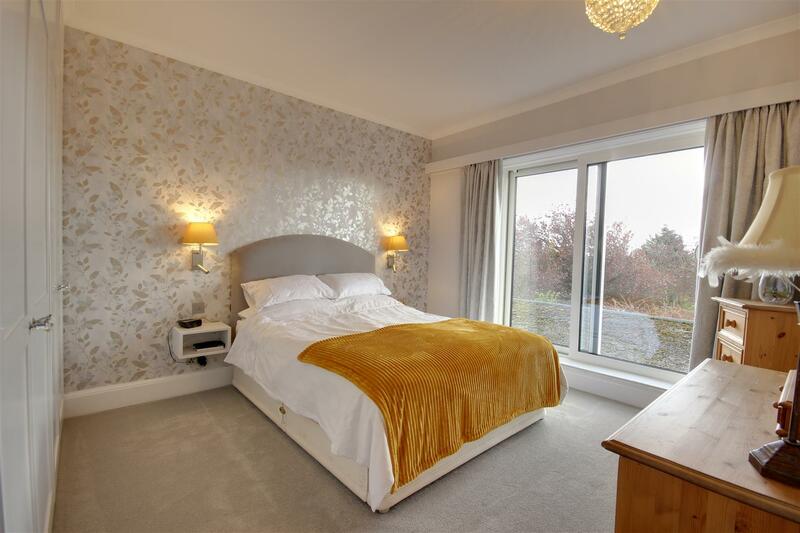 Fitted wardrobe, window to rear providing panoramic views. 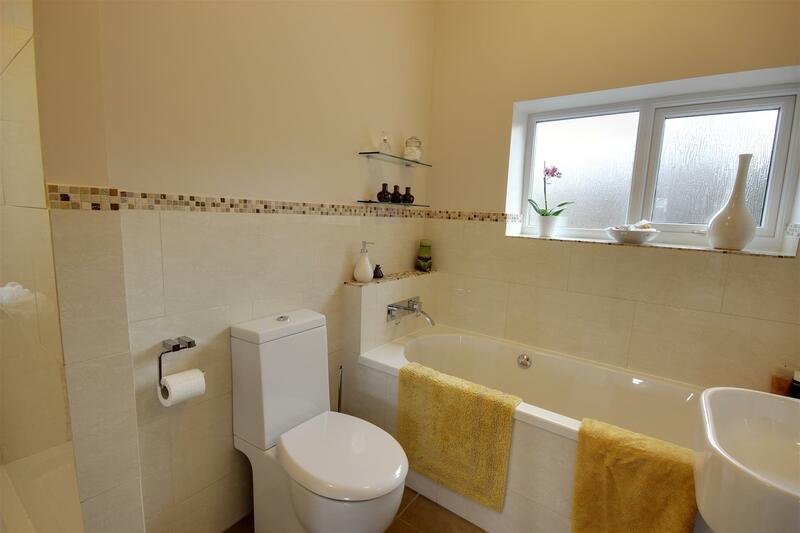 With suite comprising low level W.C, bath, wash hand basin, walk-in shower, tiled surround and floor. 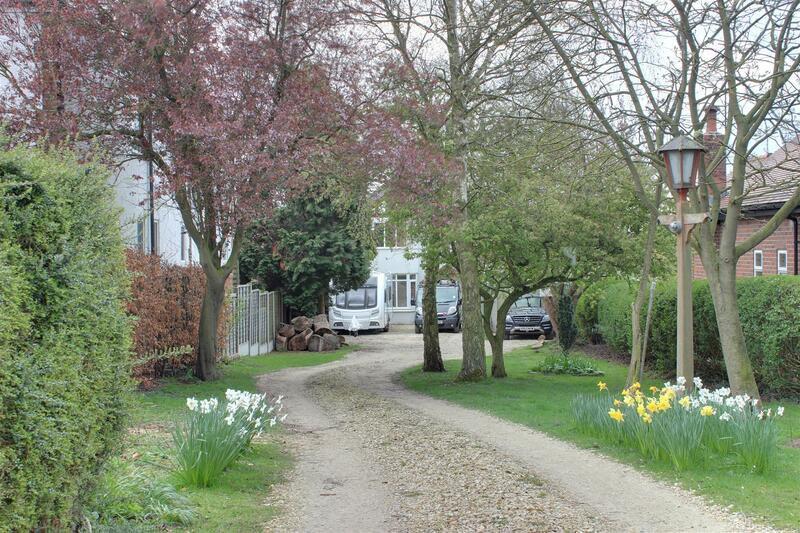 The property stands at the south side of Ferriby High Road. The house itself stands well back from the road and is approached across a winding driveway leading past lawns and trees, thereafter arriving at a carport and single garage. 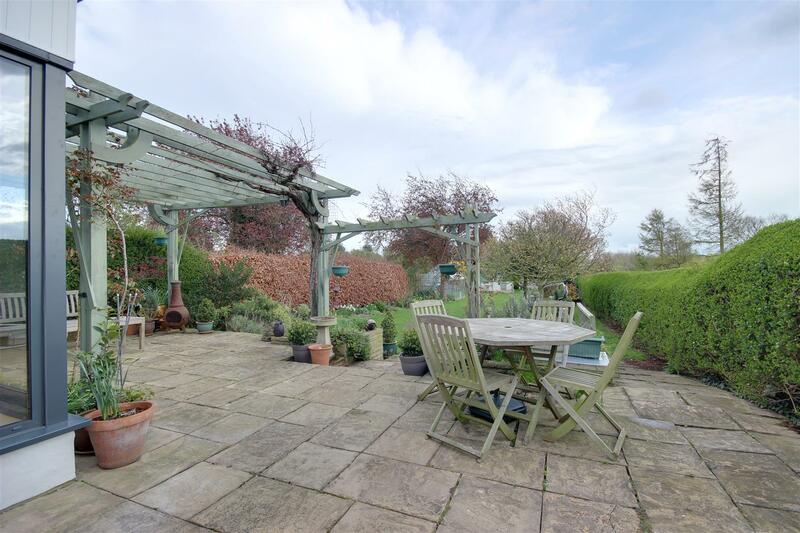 The beautiful rear garden incorporates a paved patio which extends across the rear of the house with pergola and a lawned garden extends beyond. 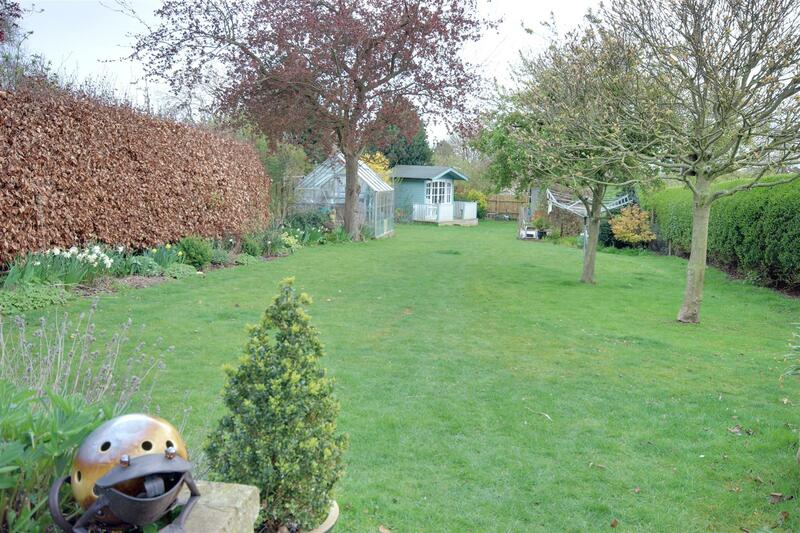 Hedges and fencing define the boundaries and the garden includes a timber storage shed, greenhouse and a summerhouse. This is a garden to relax in and enjoy.